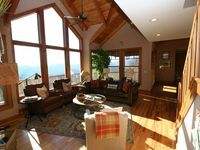 Property 2: Discover relaxation at Altitude Adjustment an Echota on the Ridge Townhome! Winter is here. Ski-In / Ski-Out 250 Feet From Beech Mount Resort. Property 3: Winter is here. Ski-In / Ski-Out 250 Feet From Beech Mount Resort. 4BR/4.5BA Luxury Townhome in Eagles Nest, Mountain Views, Hot Tub, Pool Table, Ping Pong Table, Arcade Cabinet, Small Basketball Room, High End Kitchen, Multiple King Suites! Property 6: 4BR/4.5BA Luxury Townhome in Eagles Nest, Mountain Views, Hot Tub, Pool Table, Ping Pong Table, Arcade Cabinet, Small Basketball Room, High End Kitchen, Multiple King Suites! 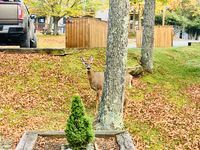 Echota on the Ridge townhome with private hot tub! Property 7: Echota on the Ridge townhome with private hot tub! Property 11: Enchanting Mountain Stream Hideaway in Banner Elk, 3 miles from Ski Sugar!! Beautiful home in the perfect location! Very well maintained and comfortable furnishings, well stocked kitchen and very comfy beds! Hot tub overlooking the mountains was awesome and access to the fitness center right through the backyard was a bonus! Great place! !